West Bengal MSME VC Fund (WB Fund) is a close ended fund with a life of 6 years established in November 2015. The Fund is registered with Securities & Exchange Board of India (SEBI) under the SEBI (Alternative Investment Funds) Regulations, 2012 as a Category-I Venture Capital Fund. Growth Sectors: SVCL will look for investment opportunities in the sectors identified by the Fund in order to earn high return. High entrepreneurial drive: SVCL will select and consider an investment opportunity only where it finds high entrepreneurial drive in the promoters of the company and who have ambition to take the company to the next level. High scalability and non-cyclical business: SVCL aims to invest in promising businesses having potential for high scalability and can reap dividend by quickly and cost effectively by reaching to its target customers. Sectors preferred should be relatively insulated from periodic downturn of the economy. Investment period and well defined exit plan: SVCL prefers to invest for optimum period of investment in order to create and realize the value in the investment. SVCL seeks to invest in ventures with well-defined exit path within a reasonable time period in order to create and realize the value in the investment. 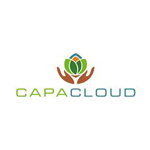 Capacloud Trading Solutions Pvt. Ltd. is engaged in the business of installation of vertical gardens. 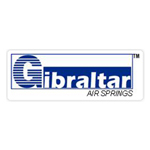 Gibraltar is engaged in design and manufacture of air springs for buses, trucks and railways. MMPL is engaged in the business of exporting seafood. 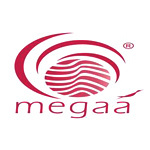 The products of the company includes frozen shrimps of various varieties like White leg shrimp, Black Tiger Shrimp, Vannamei, Scampi, White Shrimp, Pink Shrimp, etc.